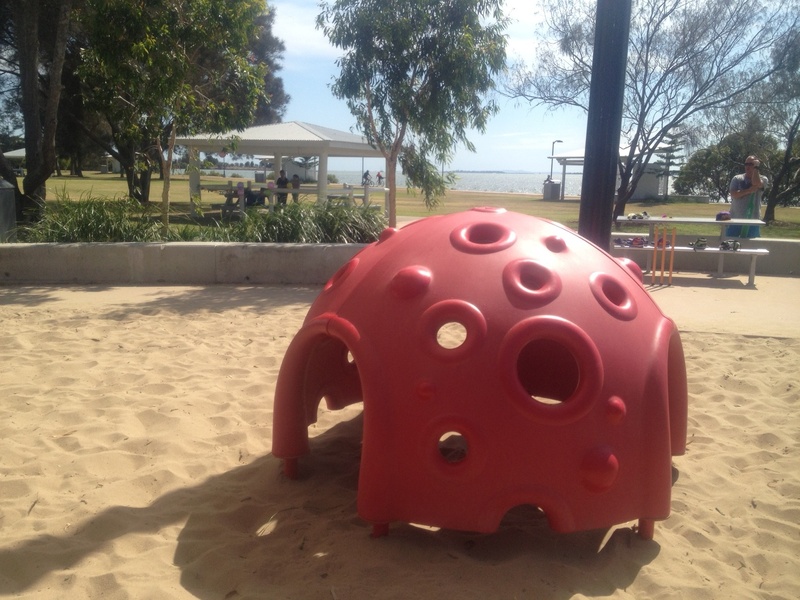 The playground at Lota Foreshores Park opened in 2011 and is a fantastic place for the whole family to spend a morning. Set amongst some trees, with plenty of open grassland and views of the Bay, the playground has a lovely spacious feel. The Bayside breeze is guaranteed to clear your head and make you feel that you have escaped the city. The playground is fun for all ages. There is a large wooden fort with high bridges, climbing nets, sliding poles and tunnel slides. When we visited recently, there were older children leaping off into the sand, several metres below. For the younger children, there is a lower section with a smaller slide, swings, rocking motorbikes and some colourful dome structures which can be climbed onto or into or jumped off. 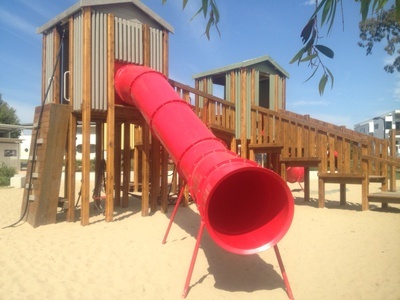 The playground is set in a large sand pit so don't forget to bring buckets and spades. 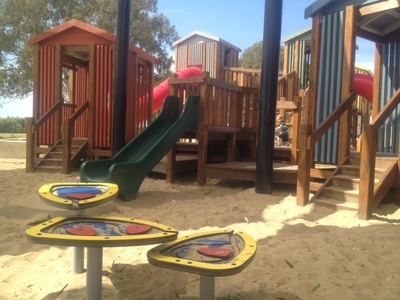 The facilities around the playground are great. There is plenty of parking and a smart toilet block including disabled toilets right beside the playground. With several electric BBQs and sheltered picnic tables, it would make a fantastic spot for a birthday party. 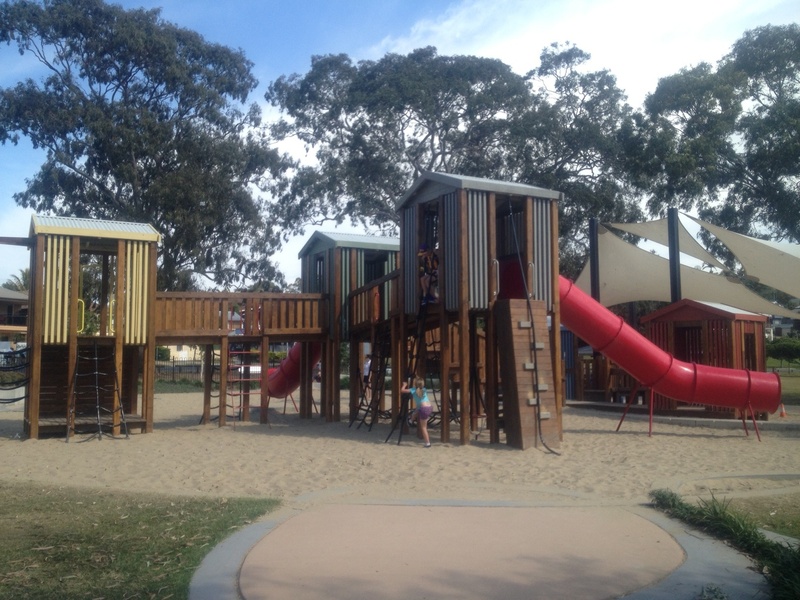 Beyond the playground, there is plenty of open parkland. There were families playing cricket and flying kites here on the morning we visited. 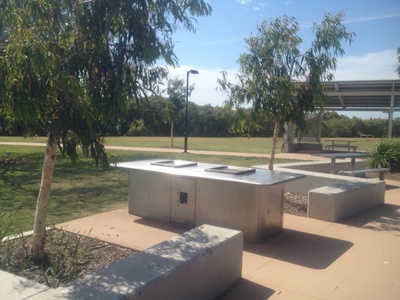 The flat path running along the foreshore to Manly and Wynnum would be ideal for a scenic family bike ride. 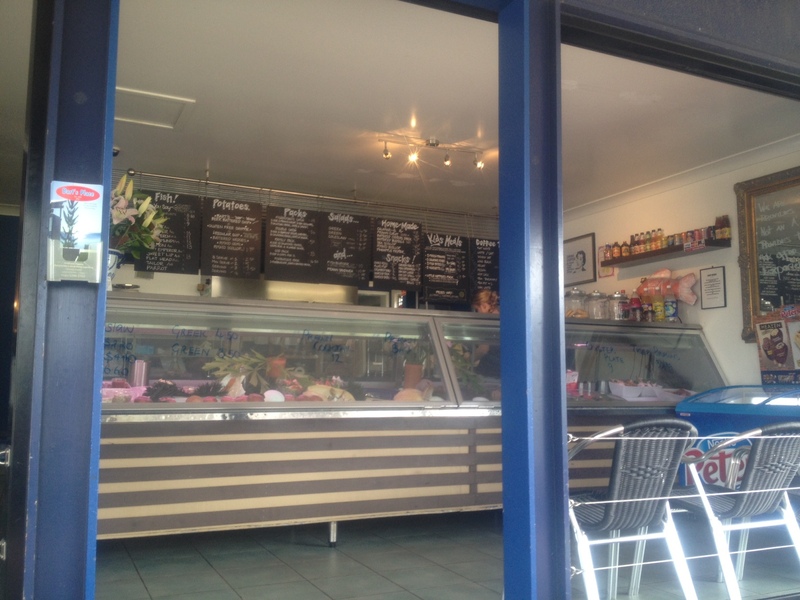 Why not make a day of it and try Bart's Place for fish and chips for lunch or an early dinner? There are tables and chairs on the deck with lovely views of the Bay.